On this week’s Social Media Marketing Talk Show, we explore Instagram announcing how their news feed algorithm works with Jeff Sieh, Facebook Watch news shows, and more breaking social media marketing news of the week! If you’re new to the show, click on the green “Watch replay” button below and sign in or register to watch our latest episode from Friday, June 8, 2018. You can also listen to the show as an audio podcast, found on iTunes/Apple Podcast, Android, Google Play, Stitcher, and RSS. Stay up to date with news on Facebook Watch. Introducing new shows with breaking news, daily briefings, quality coverage and much more. Apple Rolls Out Memojis, Group FaceTime Video Calls, and Digital Wellness: Apple kicked off its annual developer conference, WWDC 2018, by announcing several updates to all of its major operating systems. Along with debuting iOS 12 and big updates to its augmented reality platform, Apple also introduced Memojis to compete with popular Bitmojis, group video calling with up to 32 people on FaceTime, and a new digital wellness program for better managing screen time. Apple Expands Advertising Business With New Network for Apps: MarketWatch reports that Apple is expanding its growing advertising business with a new ad network for apps. Businesses will be able to sell promotional ads for search terms in the App Store and share the revenue with the apps displaying the ads. Newest Apple iOS and macOS Will Block Unauthorized Data Collection and Social Media Buttons: At WWDC 2018, Apple also announced that the newest edition of the iOS and the macOS will offer security features to alert users when Facebook or other apps seek to collect data on them. It will block social media Like or Share buttons and comment widgets from tracking users without permission. Facebook Monetizes Marketplace With Ads and Boosted Listings: Businesses can now run product ads that will appear alongside other products and services in Facebook Marketplace and “reach people where they’re actively shopping.” Facebook has been testing these new ad placements with select brands and reports seeing increased purchases and year-over-year returns on ad spend. Over the next few weeks, all advertisers targeting audiences in the U.S., Canada, Australia, and New Zealand will be able to run Marketplace ads using the traffic, conversions, product catalog, video views, and reach objectives. TechCrunch reports that in addition to running product ads in Marketplace, Facebook is also testing the option for regular users to “boost” their Marketplace listings to more people through the news feed. Ad buyers simply set a budget and end date for boosting their listing. The article notes that “no additional targeting options beyond being shown to age 18+ users in nearby zip codes” are currently available. 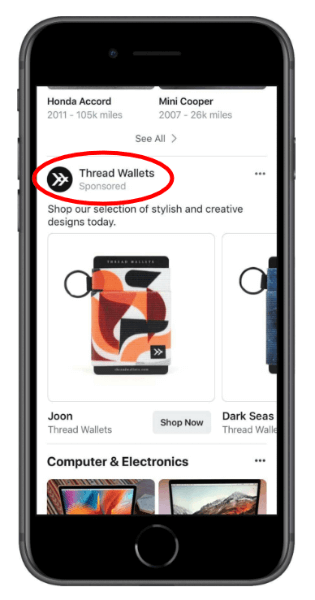 Facebook Introduces Bidding for In-App Ads: Facebook Audience Network announced that it now supports bidding for in-app advertising. Within this new system, ad networks will engage in real-time bidding among themselves to compete for the available ad impressions. The ads from the network willing to pay the most for placement within a publisher’s app will be served. Facebook Expands Non-Profit Giving Tools to More Pages: Facebook initially rolled out charitable giving tools to help non-profit causes and organizations gather funds and support through the platform. 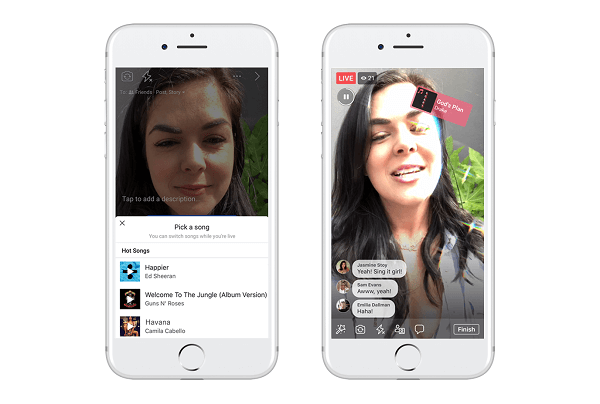 The company expanded these tools to personal users and certain Live broadcasters last year and has now brought them to brand and public figure pages as well. 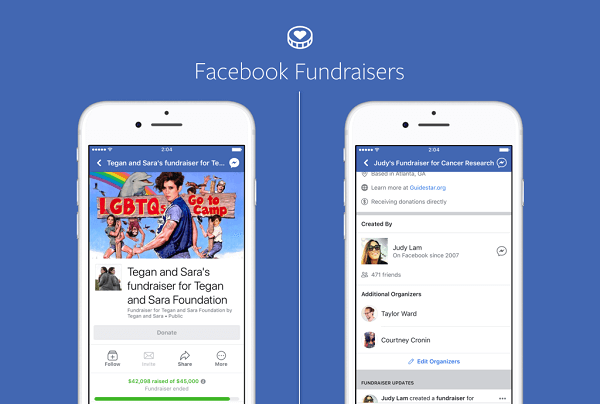 Facebook also made it possible for users to invite up to three friends to organize and manage a fundraiser together, which helps expand their network of supporters. 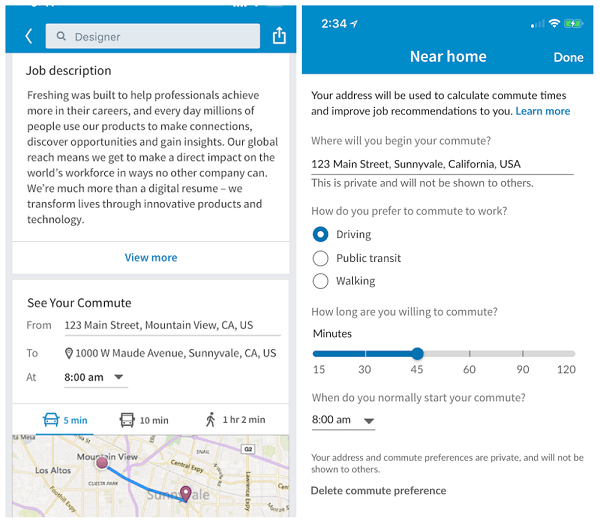 LinkedIn Adds Estimated Commute Times to Job Listings: LinkedIn members can now view the estimated commute times “on a typical work day” from their device’s current location to jobs posted on LinkedIn. Users can adjust the times, mode of transportation, and starting location and save their address information locally for ease of use. This feature is gradually rolling out to members globally and is currently only available on the LinkedIn mobile app. LinkedIn Enables Editing for Profile Posts: Last month, LinkedIn quietly shared an article on its Help page detailing how members can edit the text in posts shared on their personal LinkedIn profiles. This feature is available on the web and in the iOS and Android apps. The company notes that the ability to edit text posted to groups or company pages isn’t available at this time. Facebook Tests Page Post Templates: Facebook appears to be testing customizable templates that allow admins “to easily create a great post” on their pages. It offers a few basic content and topic suggestions for page posts, but not much else at the moment. This new tool was discovered by Catherine Daar of Daar Communication and shared by Matt Navarra via Twitter. Facebook Launches Create Button for Desktop: Facebook appears to have rolled out a new menu button found on the top navigation bar that allows users to quickly and easily create a page, ad, group, and more. This possible new feature was spotted on Facebook’s desktop site by Michael Stelzner, as well as one of our Society members, Ben M. Roberts. Facebook Tests New Event Promotion Tools: On last week’s show, we reported that Facebook appears to be testing the option to allow people to ask questions via Facebook Messenger, add a free or paid admission option, and set a ticketing price range when setting up a Facebook event page. This week, two other new Events features were spotted and reported by Matt Navarra. These include an Events Tickets button, which suggests that the site may soon allow admins to sell event tickets via page post. Facebook Pages have an ‘Event Tickets’ button? Facebook may also be experimenting with a new ticket icon found on Events to allow tickets to be purchased via Facebook.